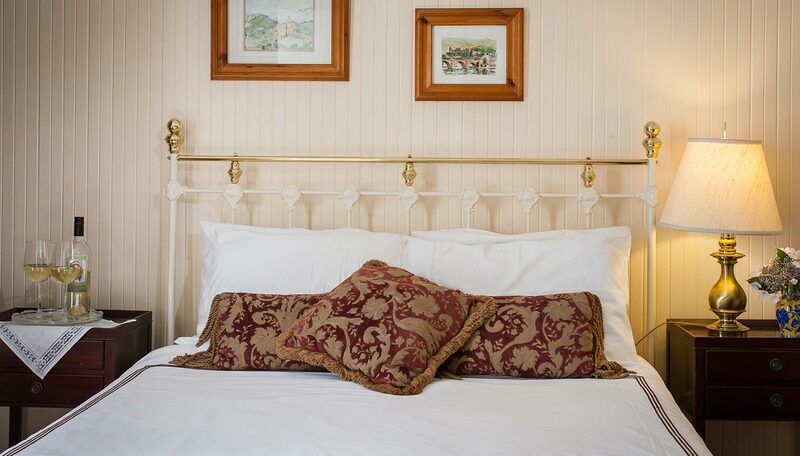 The original pine bead board walls are a warm golden yellow accenting the brass and gold colors of the queen size bed and the rich woods of the antique furniture. 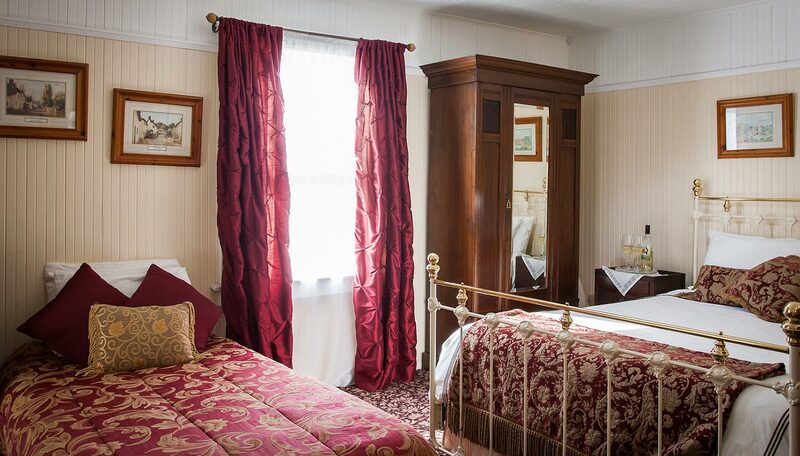 The compact private bathroom has a shower and American Standard 20's collection fittings combining contemporary convenience and period elegance. 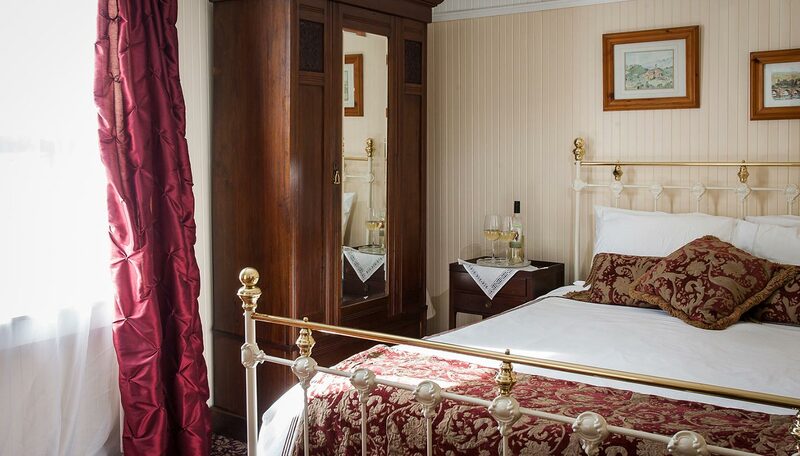 "Great location, beautiful room & fantastic breakfast." 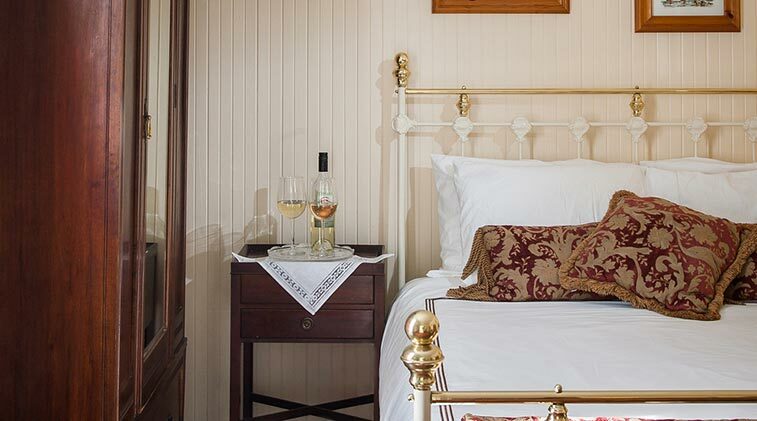 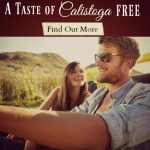 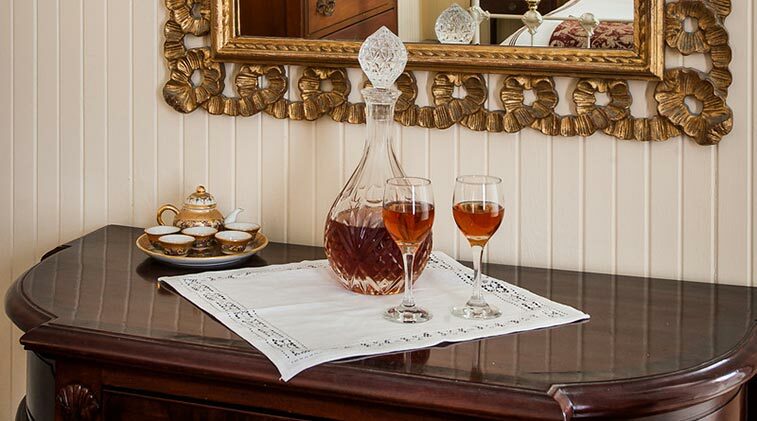 Romance awaits in our romantic Calistoga inn.